Kawasaki Ninja H2R - Isle of Man, James Hillier onboard - Abartig! 330km/h und Höllensound - Kawasaki H2R FlyBy TT 2015 Gänsehaut - James Hillier drehte eine gemütliche Demorunde auf der TT 2105 mit der Kawasaki Ninja H2R. 326 PS und bei Sulby Straight gemessene 331 km/h. This is the fastest bike I've seen through Kirk Michael. 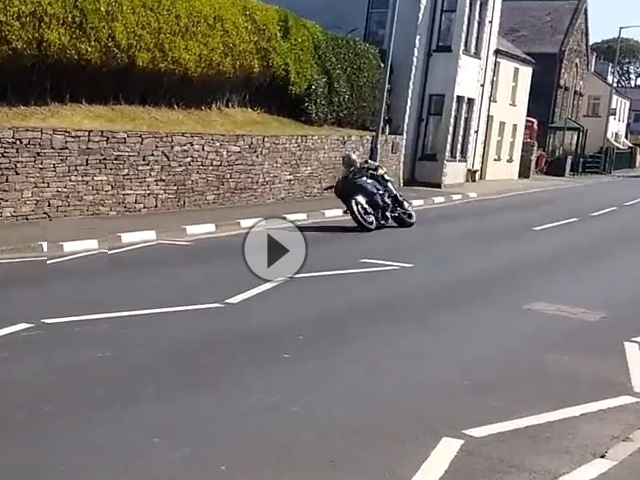 It was GPS confirmed to have hit its max speed of 207 MPH along the Sulby Straight too!